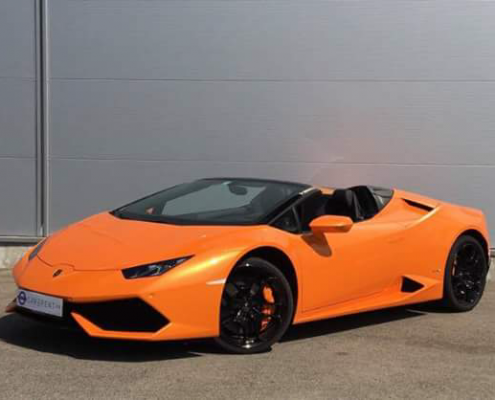 Car4rent offers a wide range of convertible’s Lamborghini rental Cannes, Saint-Tropez, Monaco. 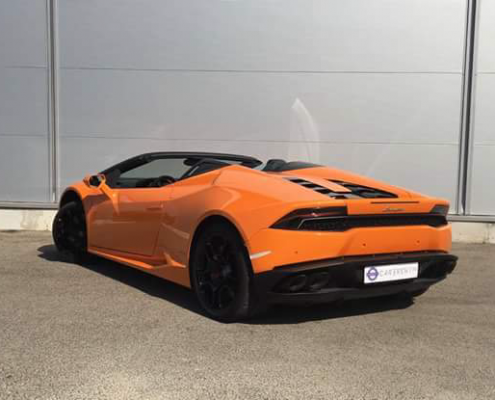 Pick up and drop off your Lamborghini wherever is suitable for you, at your arrival Nice airport, in Monaco, Cannes or Saint-Tropez. Are you visiting delightful Riviera? You wish to hire a luxury car with which to explore the incredible beauty spots. Riviera is the Mediterranean coastline of the southeast corner of France, also including the state of Monaco. Take a beautiful convertible to go to the beach or to the casino of Monte Carlo. Drive hair in the wind and enjoy the magnificent view from Eze. Cannes and its famous’marches’ is the favorite destination of movie’s lovers and is so glamour. Or go to Saint-Tropez and enjoy the jetsetter’s life. We deliver the vehicle to the spot of your choice. Make your choice for personalized pick up and drop off. 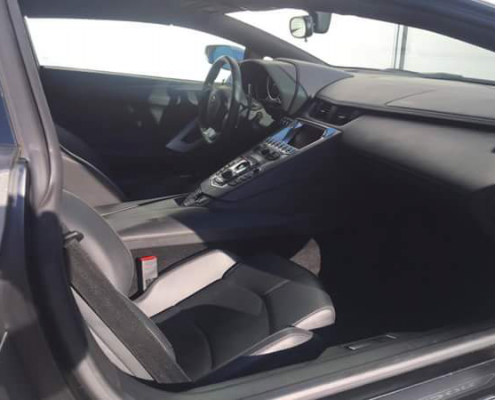 We are a team of car experts providing customized service to meet your requirements. 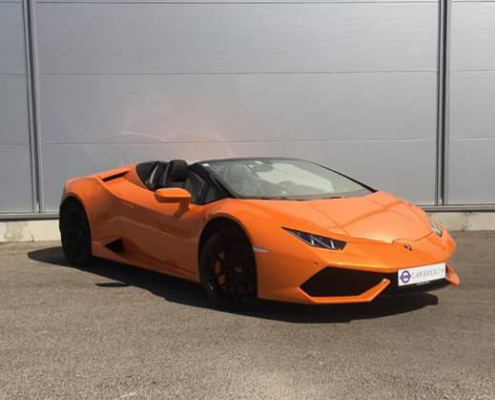 Combining the exclusive refinement of Italian handcraft and impressive power, the Lamborghini Huracan Spyder LP610-4 will bring you with speed and style. This supercar embodies authentic design and technology. Your heart will leap when you sit inside, press the ignition button and enjoy the stunning views of the Riviera roads and rolling mountains in the background. 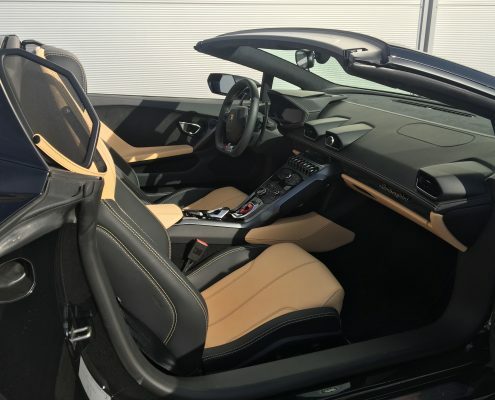 The Huracan Spyder offers incredible performance which allows the car its character seamlessly adapt to your expectations. 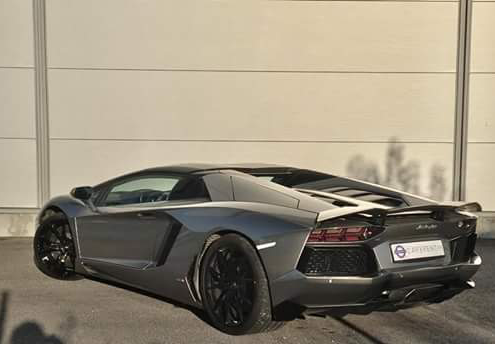 With is 610hp V10 engine and AWD transmission, which provides a comfortable ride with maximum grip, you really will appreciate this supercar for both day-to-day use as well as longer journeys. 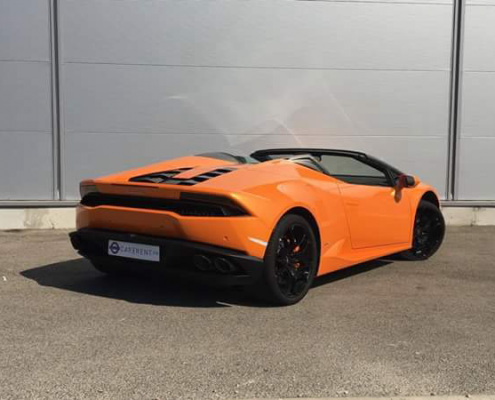 You want to rent the Lamborghini Huracan Spyder LP610-4 ? Imagine the scenic coastlines and the exceptional beauty of the Riviera paired with the rush of this fantastic man-made supercar. 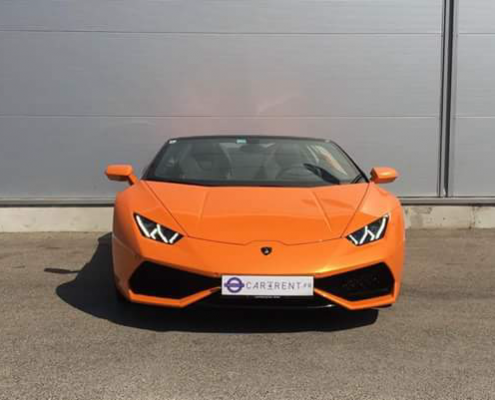 Mixing design and performance, the Lamborghini Huracan LP580 Spyder will give you a natural and stimulating driving experience. 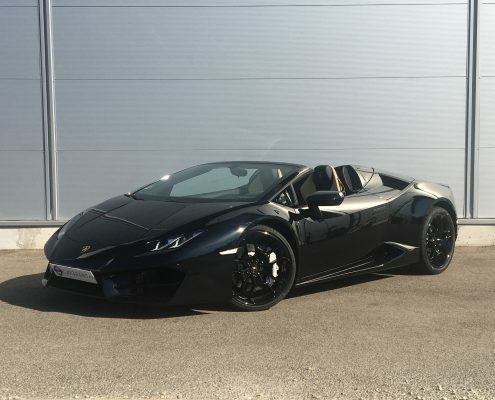 With his 580hp V10 engine 2WD you will discover the fantastic roads of the south of France, which are amongst the most beautiful in the world as they run through exceptional landscapes. Are you looking about organising an event. Our circuits are available from €595 incl. VAT pp., bringing you moments that you and your guests will remember for a long time. 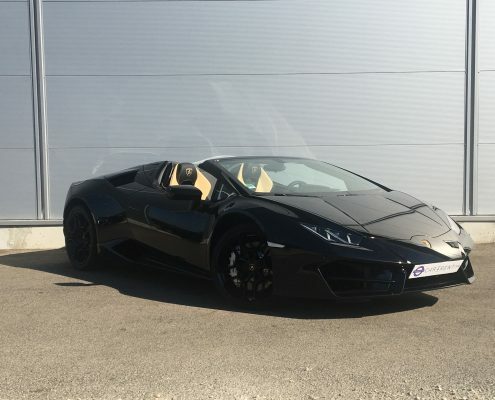 This Huracan Spyder takes part of our test drive program from 195€ pp. for about one hour journey of 30km, self drive, with one of our monitors. Price : starting from 1.500EUR per day. 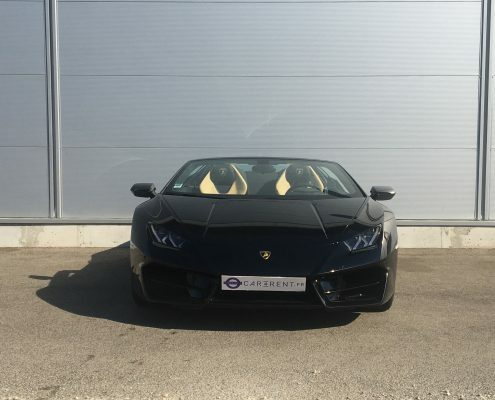 You want to rent the Lamborghini Huracan LP580 Spyder black ? 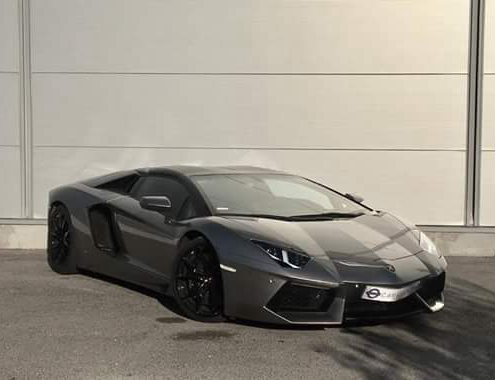 The open top icon model, the Lamborghini Aventador Roadster, is the most exciting version of emblematic brand. 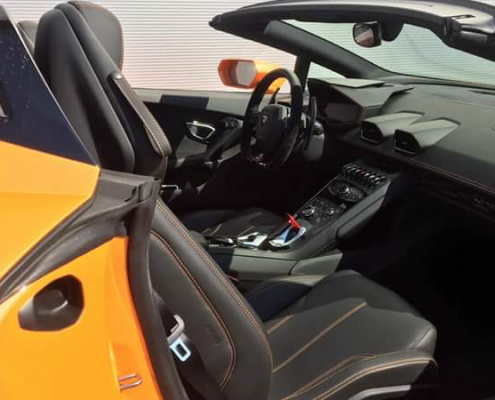 This supercar inherited the legacy of historic models of the Miura, Countach and Urraco. You get direct access to exclusiveness. 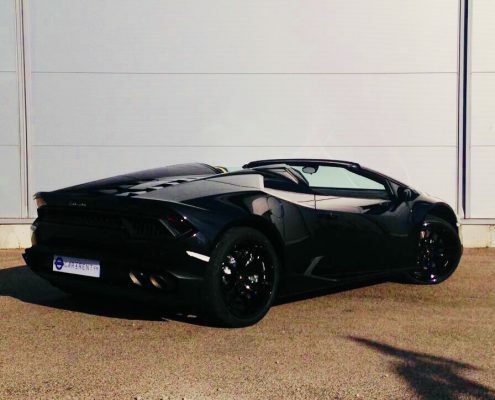 The unparalleled design of Aventador roadster, in this open top version, provides an incomparable driving experience paired with the beauty of Riviera roads. Go to Saint-Tropez to take part of funny nights of jetsetters or discover Eze Village, a lovely perched village about 7 km from Monaco, the city-state. Create your sight-seeing itinerary with breath-taking views. The adrenaline will stick and fuse into you. 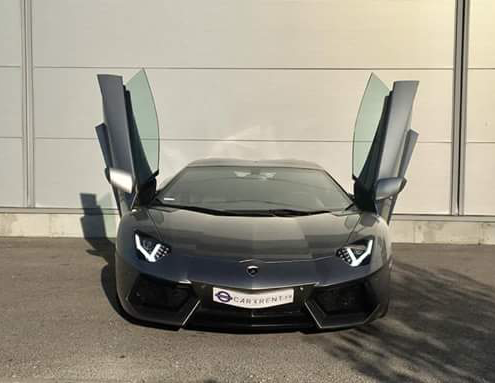 Thanks to his unleashed power of 700hp engine and the extreme agility of its active vehicle dynamics, this supercar has no limit. The V12 engine is in not just music, but an entire symphony. Price : starting from 3.500EUR per day. 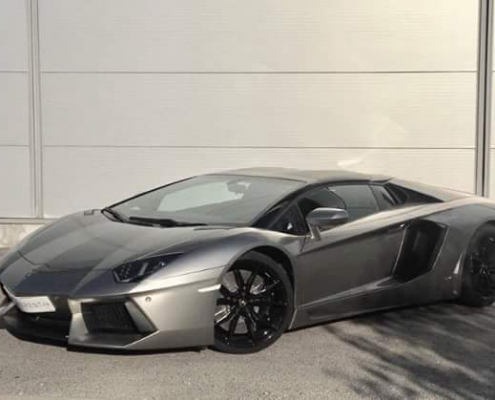 You want to rent the Lamborghini Aventador Roadster ? 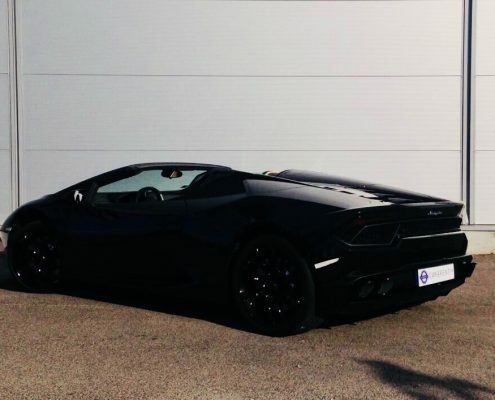 You want to rent one of our Lamborghini ? Need an advice or a free quote?